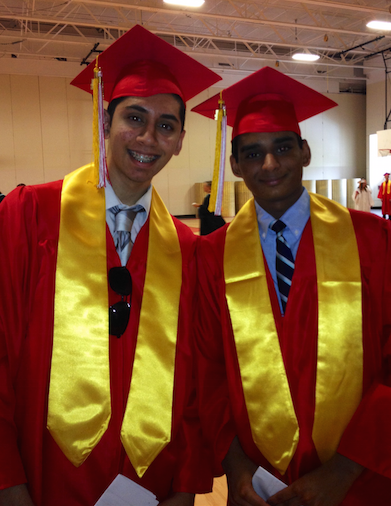 Those were the words that Shams Shaikh, the Burlington High School Class of 2014 valedictorian (an official BHS Help Desk alumnus) asked his classmates to repeat at the conclusion of his graduation speech which he delivered on Sunday, June 8th. Using the famous quote from the original Pokemon series, Shams reminded his classmates that they were the last “nineties babies” and that all incoming classes will have been born in the 2000’s. He went on to reference significant milestones he and his classmates had accomplished over the past twelve years while attending Burlington Public Schools, being sure to mention the impact receiving iPads as a part of the Burlington 1:1 initiative had on their education. However, the focus of Shams’s speech, along with all of the other speeches made at graduation, had little to do with technology. Amit Patel, the BHS Class of 2014 salutatorian (also a BHS Help Desk alumnus) spoke about the strong academic foundation Burlington had provided to students and stated that it would be up to each individual student to take that foundation and do something meaningful with it. Senior class President Jordan Mathieson talked about the importance of a positive mindset, learning from failure, and encouraged her classmates to seek adventure and to find their passions. And the senior class essayist Lina Wu emphasized the importance of family support and the friendships the graduates had made over the past four years. All four of the student speakers gave special thanks and recognition to the teachers and administrators who make Burlington High School such a great community of learners. They also congratulated their peers on putting in countless hours of hard work and dedication to make it to graduation day. For a district that is known throughout the world for its positive and progressive approach to technology, what really mattered on Sunday wasn’t the devices. What mattered were the people of the Burlington community who work tirelessly to ensure our students receive the best education possible. Superintendent Dr. Eric Conti reminded graduates to use every social media tool available to them to stay connected with each other and to build their networks as they go out into the real-world. But at the same time, he reiterated to them the importance of balancing a digitally connected life with face to face interactions and relationships. It was an honor and privilege to attend the Burlington High School graduation, along with approximately fifty of my colleagues. We were all there to celebrate the accomplishments of the “little devils,”(thanks Ms. Stuart!) the Burlington High School Class of 2014. I think we all felt a strong sense of pride as we watched “our kids” cross the stage and receive their diplomas. 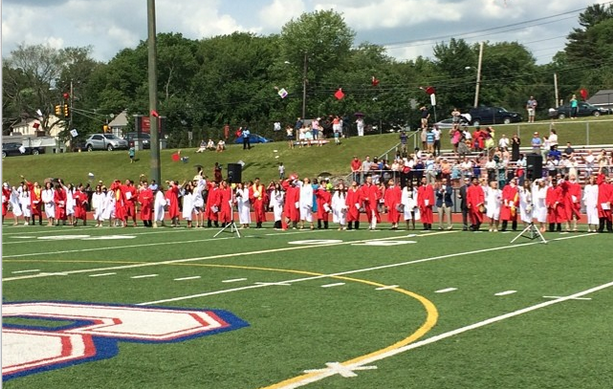 For me personally, Sunday’s graduation was the culmination of a wonderful first year at Burlington High School. I had the opportunity to work with an exceptionally talented group of students in the Help Desk program who impressed me from day one. I know that they all have what it takes to succeed in life and achieve their goals, and I hope they remember what Jordan said during her speech. Jordan reminded her classmates that it’s true they all had support from teachers, guidance counselors, administrators, family, and friends to get through twelve years of school, but it was the efforts of each individual student who made the choice to do the work that ultimately led to earning his or her diploma. I love this message because it’s about individual responsibility and accountability.